This is a versatile pinwheel pattern that you can make as a wall hanging or large enough to cover a bed. 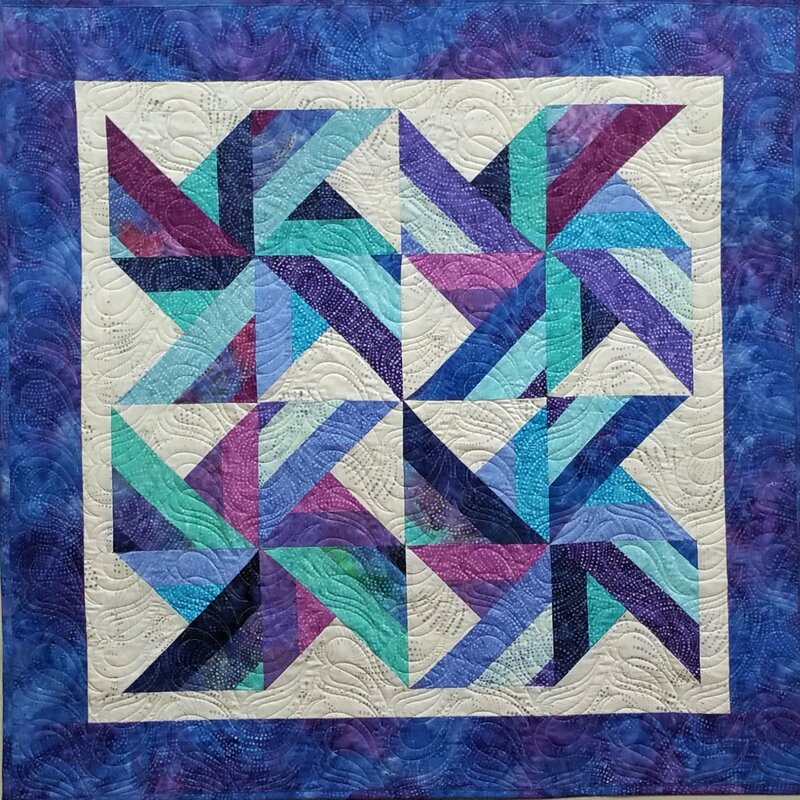 Using 2 ½" batik strips, we will learn to use the Strip Tube Ruler to make blocks that assemble into a stunning quilt. We will also learn best practices for calculating and adding borders.